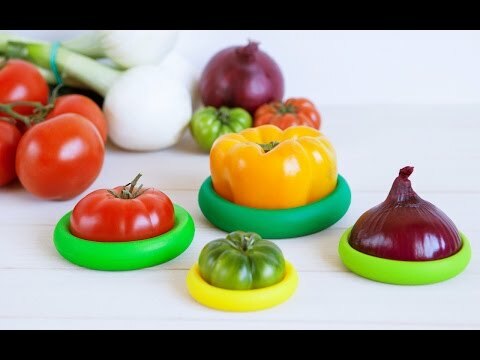 Set of four nesting silicone food savers. Food Huggers create a tight seal by wrapping around your leftover fruits and veggies. Fit your half-cut fruit or veggie into the closest size to save for later. 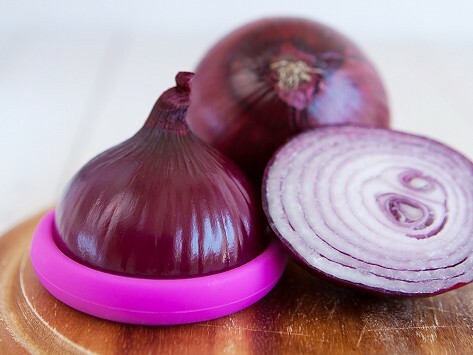 Food Huggers also work over jars and small containers to keep contents fresh. Dimensions: 4.25" x 0.8" x 4.25"
These work great and clean easily.